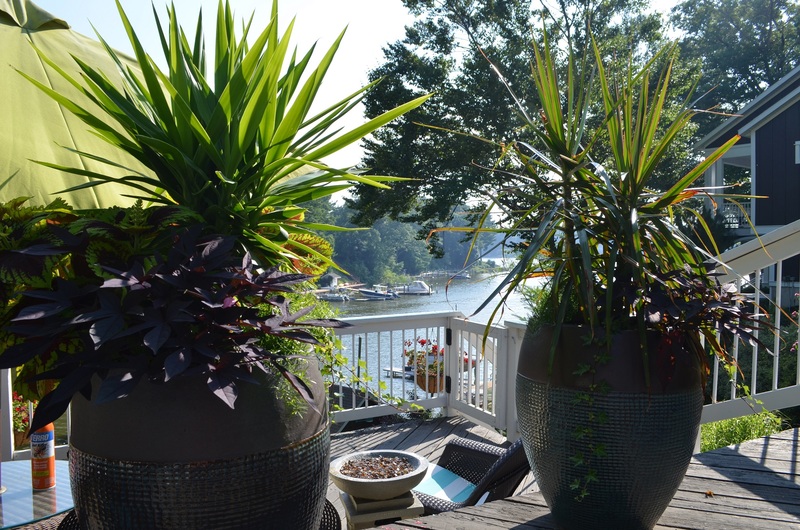 Tropical Pots – Live. Laugh. Love. Lake. 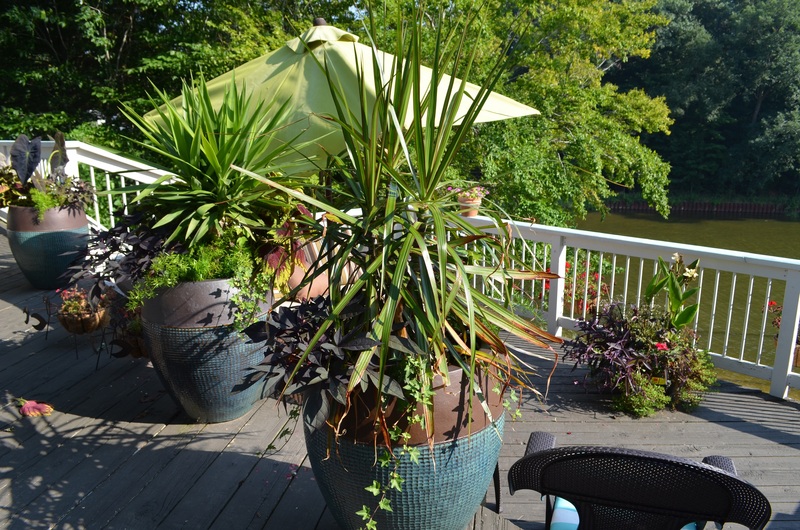 This entry was posted in In the Garden and tagged asparagus fern, coleus, container planting, elephant ear, palms, Planter, potato vine, Spring Lake, tropical plants. Bookmark the permalink. And they look GORGEOUS! I’m trying to do something similar around my pool. You’re lucky – you’ll have lots more options in Florida! Gorgeous!! 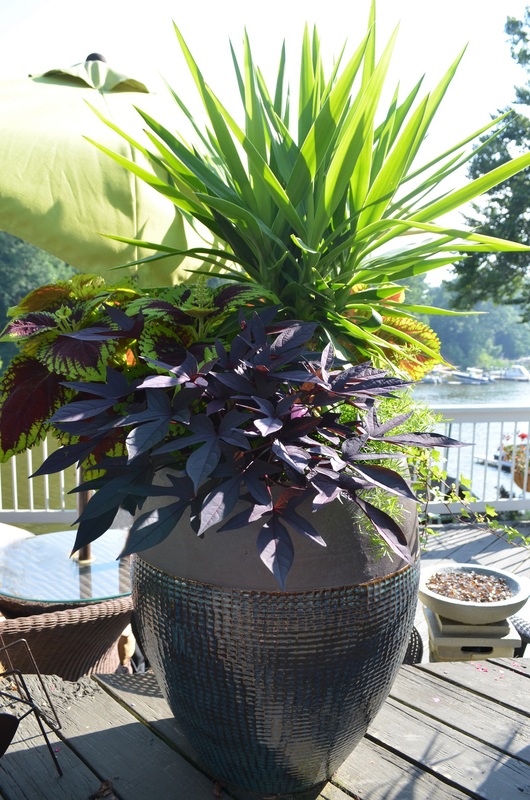 I love Coleus too, they get so big and happy! Love your view too.